The Index continues moving upwards, just as I expected. 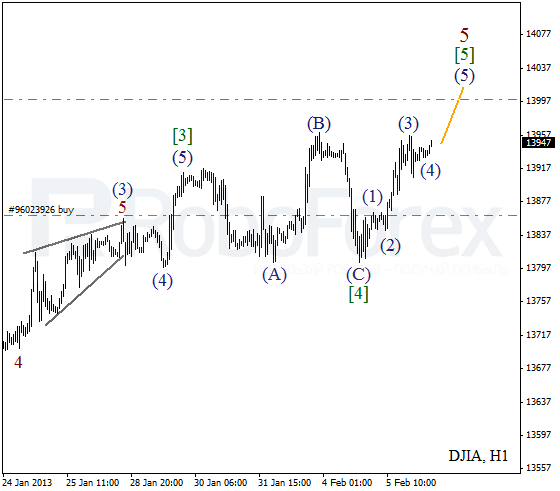 There is a possibility that the bulls may reach a new maximum while forming wave . I think wave 5 of (1) may be completed very soon. More detailed wave structure is shown on the H1 chart. It looks like the price is forming the fourth wave inside wave . Later during the day, after a local correction, the instrument is expected to continue moving upwards. 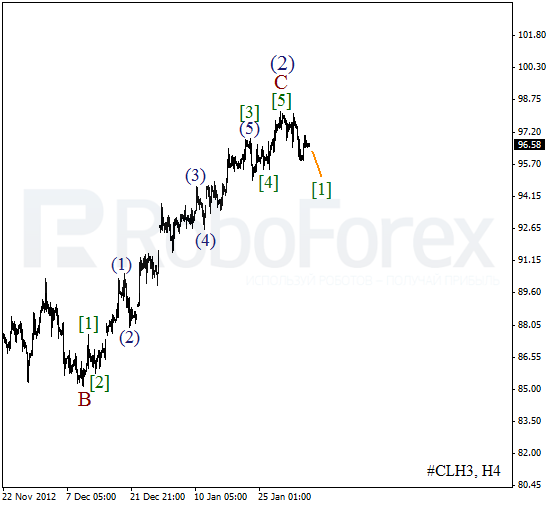 The current chart structure implies that wave C has been already completed. On the minor wave level Oil is forming an initial descending impulse. Later the price may continue falling down and break a local minimum. More detailed wave structure is shown on the H1 chart. 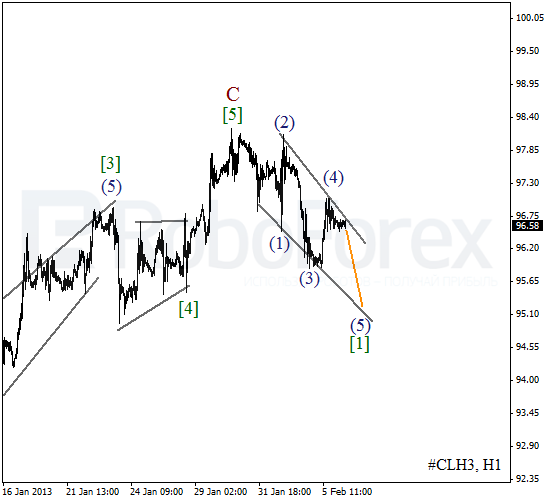 We can’t exclude a possibility that right now Oil is forming a bearish wedge pattern with the fourth wave inside it. 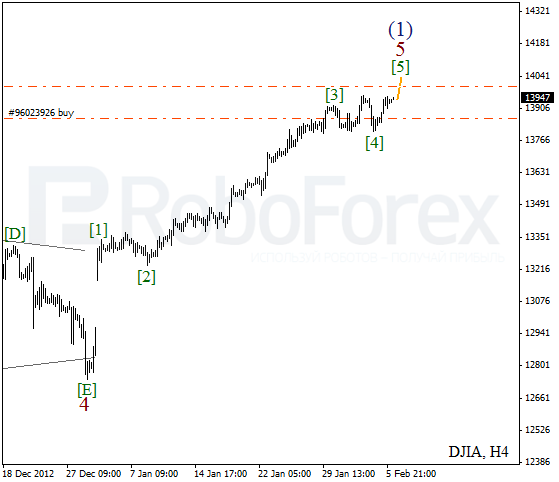 During the day the market may start moving downwards inside the fifth wave.